One of the world’s leading automotive manufacturing groups has revealed its new identity. French-owened Mecaplast Group and US firm Key Plastics will be called Novares, following their merger earlier this year. The rebranding exercise reflects both the evolution and new ambition set for the company, ensuring growth for the future. 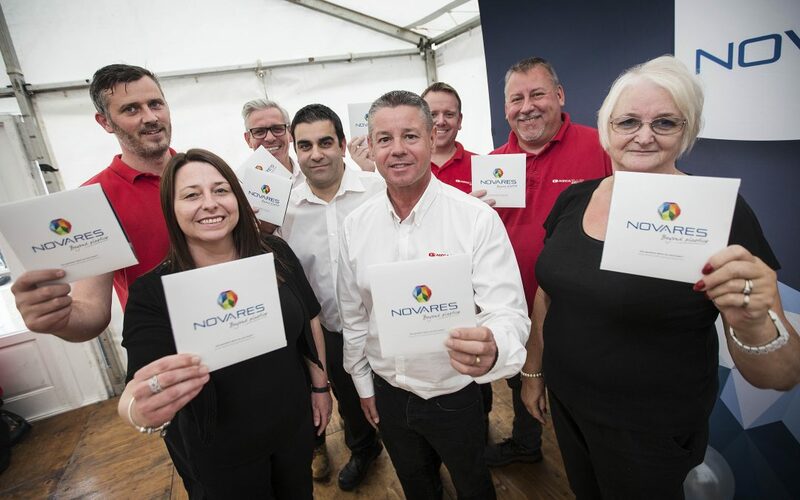 Novares’ UK site is in Peterlee, County Durham, where 140 people are employed, and the merger and rebrand will ensure the plant’s long term future, as well as continued investment and job creation. Plant Manager at Peterlee, David Cann, said: “As a plant we have undergone significant growth in the last few years and the merger with Key Plastics, and subsequent rebrand as Novares, represents the next phase of the group’s development journey. ‘NOVA’ in Latin means Innovate. ‘Innovation or literally ‘a new way’. This also relates to the group’s mantra: ‘we never stop inventing’ and explains its ability to listen to customers’ needs and to anticipate key trends. ‘RES’, in Latin is ‘Fact’. The group provides pragmatic, tangible solutions to match customer demands with functional solutions. Novares strives to be proactive and responsive to customers’ needs. Having recently solidified its financial position with Equistone Partners as main shareholder, and joining forces with Key Plastics, the company has refreshed its vision and strategy to the market with a focus on value creation, technical products, innovation as well as increasing its global expansion. The merger of both companies has created for customers, a strong global footprint, a balanced product portfolio, and an engineering and innovation strike force with best-in-class manufacturing capabilities. Engine Components: comprises air, oil, water management, engine acoustic and aero management, as well as bottles. e-Powertrain Components: includes battery boxes including components such as air guides, crash box, water management with water cooling inlets and outlets. Bezels & Clusters: consists of bezels and clusters. Air Vents & Decoration Trims: includes air vents, kinematics and deco trims. Interior & Car Body Trim: covers center consoles, dashboard components, cowl grill and wheel arch flares, full cockpit and trunk packages, roof consoles, body acoustic and aero black parts. Handles: encompasses interior and exterior handles, fuel door and inside liftgate handles with autonomous mechanisms. Exterior Paint & Surfaces: offers painting capabilities, full manufacturing process for mid-size parts such as spoilers and tailgate trims, body side moldings, roof bars and rails.